Texas Law offers extensive clinical education opportunities, with sixteen clinics covering a range of legal issues and numerous internships in nonprofit organizations, government agencies, domestic and international courts, and the legislature. These exciting and challenging courses allow students to gain meaningful real world experience while still in school. The low student-to-faculty ratios and small size of the clinics ensure that students work closely with experienced faculty and their classmates. 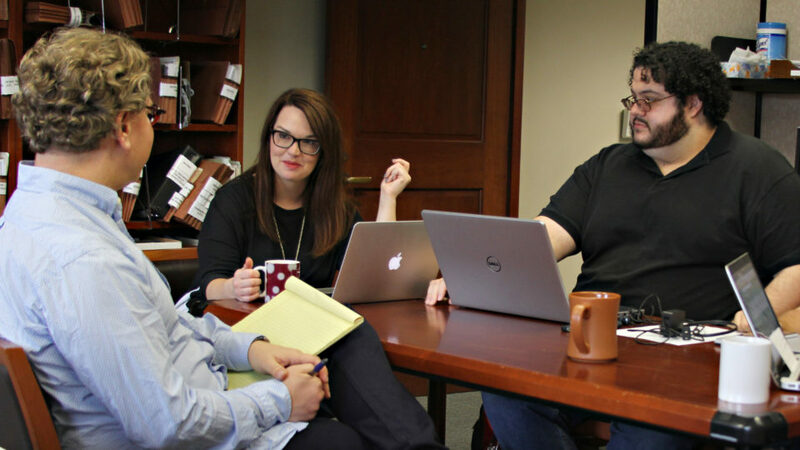 Students often describe working on clinic cases and projects as highlights of their time at Texas Law. Clinical courses are valuable for all students, whether they are interested in litigation or transactional practice. The intensive nature of clinical work helps develop analytical and advocacy skills, and offers hands-on practice in factual investigation, research and writing, trial advocacy, problem solving, client relations, and professional responsibility. Students gain useful work experience through regular interaction with clients, attorneys, judges, and other professionals. Many students also have the rewarding opportunity to assist needy clients and communities. Clinic students provide legal services directly or work closely with faculty members on complex cases. They represent clients during the preparation, trial, and appeal of cases in litigation or in law-related transactions and projects. Each clinic consists of a classroom component and a casework component. Student work is closely supervised by the clinical faculty. All clinics are graded on a pass/fail basis, and there is no final paper or examination. Clinic students must pay a $100 fee. All clinics require an application. For more information on internships, visit Internships. For questions, contact Eden Harrington, Associate Dean for Experiential Learning, eharrington@law.utexas.edu.